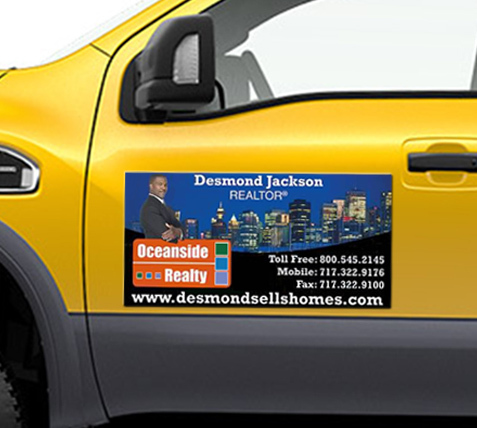 A 24x 12 round corner custom magnetic car and truck sign can be imprinted in any color of the advertiser’s choice. 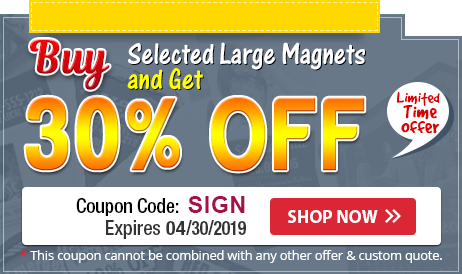 This magnet makes a suitable business promotion tool for advertisers working in small budget. This means it really suits advertisers who cannot afford to buyout costly advertising spaces in city corners or who cannot spend thousands of dollars on billboard advertising. Advertisers can also choose to distribute it amongst people who wish well for their business and they have to pay just $12.35 towards customization fee.